Plymouth, MI. 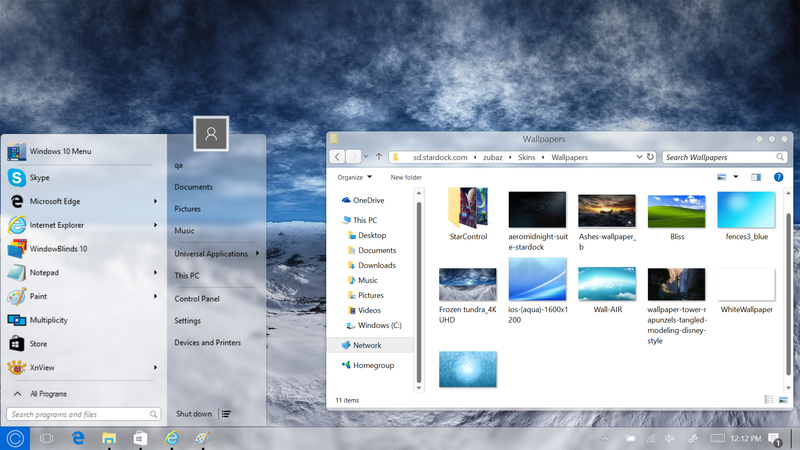 – November 2, 2016 - Today, Stardock announced the release of WindowBlinds 10.5, the latest iteration of its popular desktop customization software. 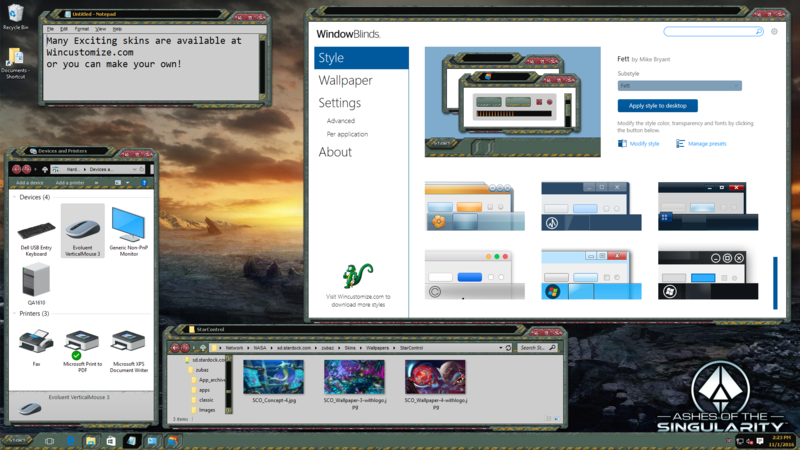 WindowBlinds allows users to completely customize their desktop interface by choosing from unique skin options for their Start panel, taskbar, window frames, control buttons, and more. Apply skins to universal applications! "We are excited to be able to create a more seamless desktop environment for our users," said Angela Marshall, Stardock COO and Vice President of Software. "We are always looking for ways to improve WindowBlinds so skinning Universal applications was a natural fit. 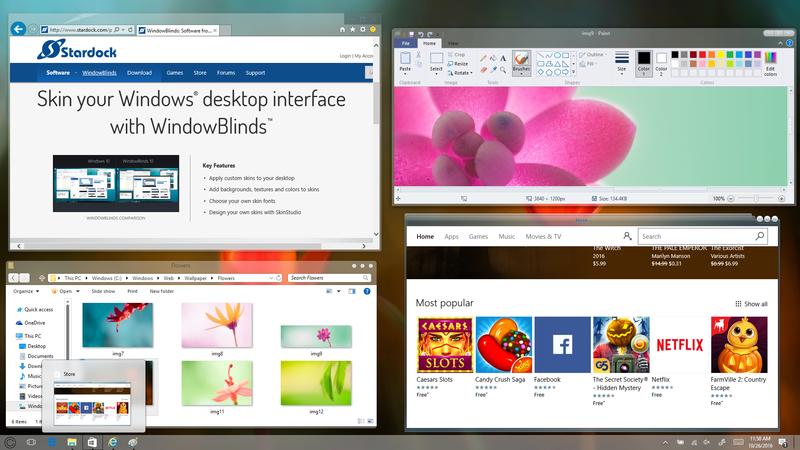 We are also happy to bring back blurring for users with the Anniversary Update of Windows 10." 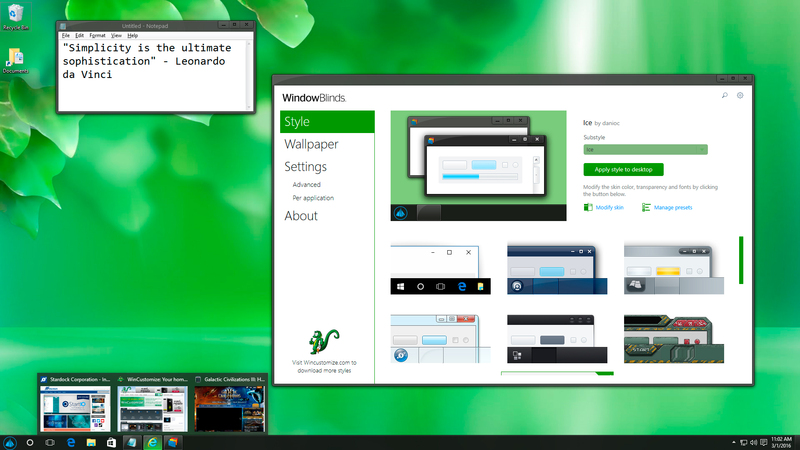 WindowBlinds is available as a standalone application or through Stardock's comprehensive Object Desktop service. Through Object Desktop, users will be able to access the latest versions of WindowBlinds, Start10, Fences, Deskscapes, and more. WindowBlinds supports Microsoft Windows 10 and is available to download now for $9.99, and those who own a previous version can upgrade for just $4.99. 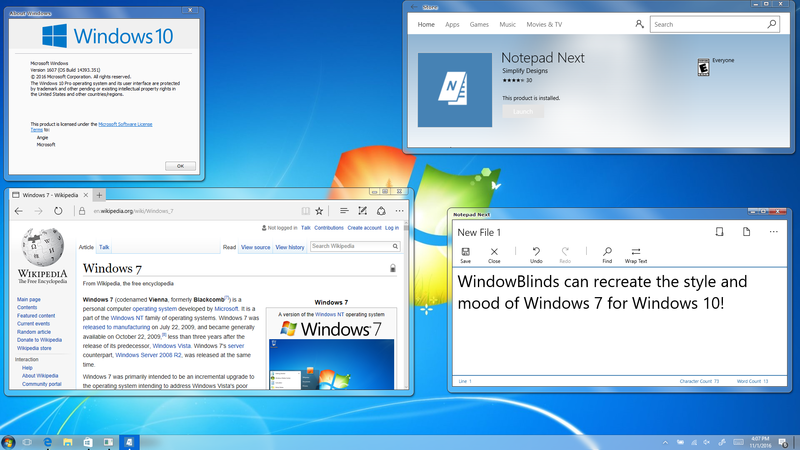 For more information about WindowBlinds 10, please visit www.windowblinds.net. Focus on appealing skins. That's the reason I never use this package - the skins are largely poor quality on WinCustomize and the default skins in the package all look worse than Microsoft's. Guess I'm the sucker for buying it, but come on. This sounds G R E A T !!! What skin is that in screenshot 2? You got me. What got my attention was that you can use older skins and they will still look good. Are we talking Vista or XP? One I really like is Airlock by Mike Brandt. Got a lot of his older skins (Recoil, Sirius, Ozone), so if I buy an older skin I can use it on Win10? The first part won't interest me because I don't use MS's Universal Apps at all. However, I welcome the other changes, especially hiding the 'ribbon' and better skinning for Mozilla applications. I use both Fiefox and Thunderbird, so this is good news. The first part won't interest me because I don't use MS's Universal Apps at all. Yes you do. Many parts of the Windows 10 interface (control panel applets, etc...) are now UWP. So hurray to Neil! Color me impressed! Okay, though what I meant is the apps MS plastered all over the Start Menu, etc... the stuff from the Store. Disable hyper-v on your machine. It is causing a problem on the latest insider preview. Love what you've done with the option to hide the ribbon and giving us back the command bar, menu bar and such! I'd like to see the command bar support transparency if it was possible. It's an integral part of several of my skins actually. Is it crashing instantly on install or on a theme apply and if so what theme are you applying? Does it happen with the Modern skin included with WindowBlinds? I get the blue screen when the install is almost finished. So WB is not installed at all, the installer crashes with the error I reported. Has it previously had a working WindowBlinds installed? I am trying to work out if it is applying a skin at the end of the install or not. Yes I have had the OD version installed, but I uninstalled it when trying all kinds of things to make another program crash less. As it was OD version I couldn't install it since then. It would be good to have pointers how to remove possible remnants of it if it confuses the new WB. One thing though, Photoshop still hates WB on my machines. It starts without top-bottom-side frames and has no close min max buttons until i minimize it and maximize it using keyshortcuts. Afterwards it works like a charm. Dunno weird and wanted to point it out. Have this problem with the Win01x64 machine. Otherwise great news looking forward to it.